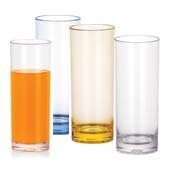 JP large line of Plastic cups with crystal clear design and a beautiful look, made in unbreakable polycarbonate, safe for transport, storage and dishwasher, less breakage and saving in replacement costs, lightweight design easy to handle, ideal for Poolside service, Outdoor dining, Catering, Bars, and Hotels. 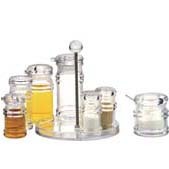 JP large line of a Tabletop Accessory with acrylic shaker, sauce pot and condiment set, all made with FDA listed acrylic material, crystal clear and beautiful look, , makes most efficient and safe for table service. 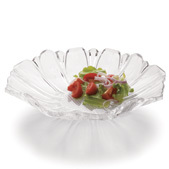 JP line of Displayware, crystal clear and elegant design, all made with FDA approved for food contact acrylic or polycarbonate material, perfect for banquets, buffets, deli and tabletop displays. JP line of Melamine dinnerware,made in 100% Melamine material, with European LFGB and USA NSF testing,safe for human health. 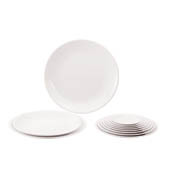 Unbreakable and saving peplacement cost,dishwasher safe.Elegant various design,with complete line of dinnerware,from plates to cups, provide one stop dinnerware service,suit for different demand of different Hotels,Restaurant.